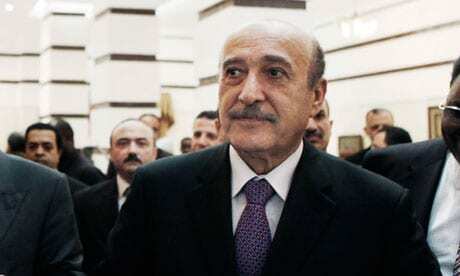 Omar Suleiman, one of former Eygptian President Hosni Mubarak’s top regime figures, died Thursday at 76. The former spy chief was in a United States hospital when he died, according to the official Middle East News Agency. Just as Egypt’s civilian uprising was beginning to swell, Suleiman was appointed Mubarak’s vice president. He’d disappeared after the revolution but then returned to the public eye to run for president, but was quickly disqualified for not having enough signatures on his candidate application. For almost twenty years, Suleiman was an Egyptian chief and was often suggested as Mubarak’s likely successor. This entry was posted on July 19th 2012 at 4:45pm/16:45 and is filed under Live News Column 1, World News. You can follow any responses to this entry through the RSS 2.0 feed.